New York is one of the most famous and iconic destinations in the world. Brimming with famous buildings, sights and attractions, it is easy to see why millions of people visit every year. With recommendations for getting around, things to do, sightseeing, accommodation, shopping and eating out. New York is one of the locations that no-one questions others for wanting to visit. This city doesn't need any introduction; this is what you see each New Year on television with the swarms of bodies gathering around the gigantic television screen for the countdown. The square is awash with flashing video screens and LED signs displaying adverts and messaging 24 hours a day, and is definitely a must-see for tourists. 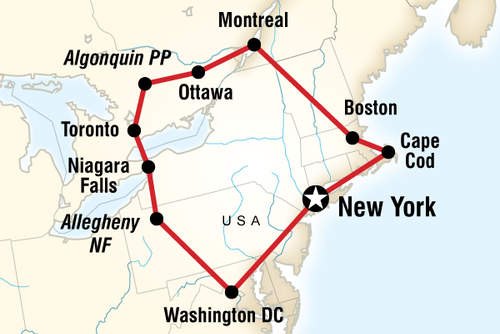 New York also boasts thousands of galleries, museums, sights, restaurants and amazing places to visit. Manhattan might look small in comparison to other places in the USA but it packs a big punch. You could spend months exploring New York and not see everything. If you would like to plan the most amazing trip of your life and save money our travel guide to New York City will help. Take advantage of the our tips and deals to make a memorable and affordable trip or holiday. With so much to see and do, this will be the experience of a lifetime and a lot of our recommendations are also low cost and totally free. 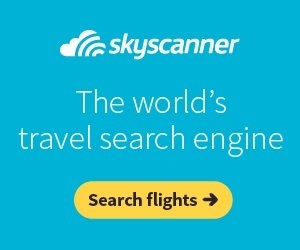 British Airways, Virgin Atlantic, Primera Air, American Airlines, Air India, Norwegian Air, Delta, United & Thomas Cook Airlines. Emirates, TAP Air Portugal, Air Europa, KLM, Aeroflot, Avianca, Lufthansa, WestJet, Singapore Airlines, Aer Lingus, Icelandair, Kuwait Airways, Air France, Air China, EgyptAir, Air Canada, Brussels Airlines, Air Italy, SWISS, Austrian Airlines, Ethiopian Airlines, Turkish Airlines, WOW air, Saudia flights, Qatar Airways, Air New Zealand, Ukraine International, Iberia, Finnair, Royal Jordanian, Etihad Airways, eurowings, LATAM Airlines Brasil, SAS, LOT, Air Serbia, EL AL Israel Airlines, Aeromexico, Czech Airlines, Alitalia, Royal Air Maroc & Azerbaijan Airlines. There are lots of options when it comes to places to stay in New York including hotels, hostels, apartments and AirBnB. If you are looking for somewhere cheap to stay, use Hostelbookers or Booking.com to search for budget accommodation and book well in advance to get the best prices. You might like to view our full guide how to find cheap places to stay in New York or check out our guide to the best hostels in New York. New York City is best known for its breathtaking attractions, monuments and shopping. But there’s so much more to it and you can do it for a whole lot less than you think! If you’re looking to really do it all; the New York City Pass is always a big help, it has coupons for many restaurants, bars and tours and also lets you into pretty much everything without having for you to pay cash at the entrance. You can buy the New York pass from its website and you will also receive a booklet letting you know everything you can get into and money you can save! If you are visiting New York and want to see as much as possible or if you’re worrying about all the queues and costs, fear not. There are a variety of multi-attraction schemes that offer not only discounted prices but also the ability to jump the line. The Explorer Pass lets you choose three, five or seven top attractions, and you have 30 days after visiting the first place before it expires. The New York CityPASS lets you into six attractions for a reduced price provided you use it within nine days of first use. 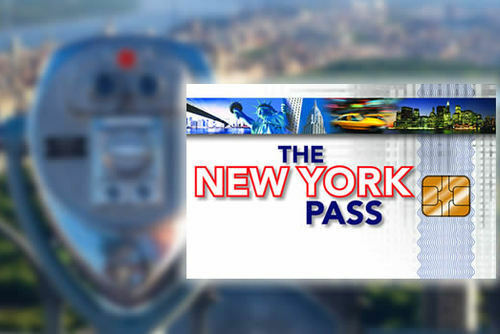 There is also the New York Pass, which provides access to a whopping 50 attractions and lets you skip the queues. The difference with this one is that the passes are available for one day, two days, three days or seven days, with the prices increasing accordingly. It also includes a 140-page guide book and the more attractions you visit, the greater discount you receive. Getting from the airport to your accommodation can always be challenging and time consuming especially when everyone has the same idea as you to take a cab and waiting in line can take forever for one to be available and the prices usually take a chunk or two out of your wallet! Taking a shuttle bus to and from the airport on arrival and leaving can be easier and cheaper, before you fly check with your hotel if they offer one (most normally do) and for a set price they will drop you off and pick you up arriving and departing! You can catch the monorail and subway from JFK. There is a quick and efficient public transport system and the subway is the best way to get around. The subway can be a bit confusing at first and you may not get a wider view of the city that you would with cabs or buses but this is the quickest and most effective way to get around. Not only saving you time and money it gives you more time to spend at your destination and as so many subway tunnels are placed around NYC you’re always never more than a block or two from where you want to be. Taking cabs especially at night will take you forever, and if you have dinner reservations then you’ll be going hungry; the traffic is chaotic so you’ll be paying way more than you have to just for sitting there. If you’re looking to see the city while travelling walking is your way to go. Manhattan and the other New York boroughs might look close together on a map but believe us, you will end up doing a lot of walking. Get a good pair of trainers, you'll do a lot of walking even if you commute using public transport. New York, New York, the city that never sleeps with hundreds of attractions and things to do. One of the best ways to explore this city is to book a tour. There are lots of organised tours and experiences available to book all year round where you will get an experienced guide to provide background information on the places you visit. Some walking tours are also completely free! You really can't travel all the way to New York and not see the green lady herself. The Statue Of Liberty is a collosal statue designed by Frédéric Auguste Bartholdi and dedicated on October 28, 1886 was a gift of friendship from the people of France to the United States and is a universal symbol of freedom and democracy. The total overall height from the base of the pedestal foundation to the tip of the torch is 305 feet, 6 inches. Take the subway to Battery park, buy your fancy ticket, and hop on to the ferry. This alone is great fun, giving you an amazing view of the Manhattan skyline. Although she’s showing her age a bit, being on the island itself, and so close to Ms Liberty is an incredible experience. There are tours departing daily which take you to the Statue of Liberty island and also Ellis Island where the first immigrants arrived into New York. Aim to arrive early as this is popular and packed with tourists. The world famous Statue of Liberty is located in New York Harbour and can be seen from Manhattan, on trip to the island or if you are on a budget you can catch the free Staten Island ferry which passes by the Statue of Liberty but doesn't stop on the island. You have the choice to get off to view Ellis Island as well, to learn about the history of New York. 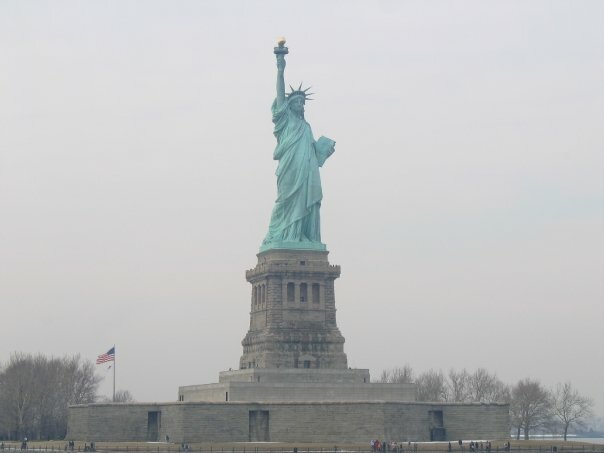 Liberty Island is open all year round so there is always a perfect time to visit! 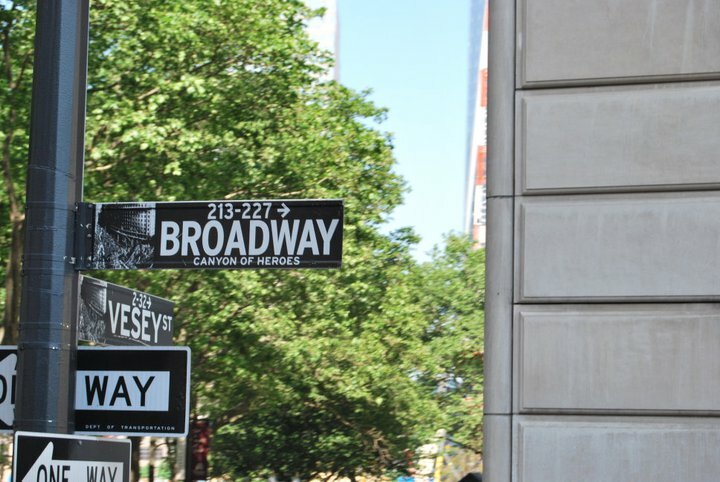 Running 13 miles through Manhattan This boulevard in New York is known worldwide as the heart of the American theatre industry, boasting some of the best live theater in the world with top actors, producers and writers. For this reason, no trip is complete without seeing a broadway play. Shows are presented year round with more new shows in the fall and spring. Tip: Weekday nights and matinees are generally less expensive and student discounts are available. Possibly you might want to treat one of your colleagues to a night out! The classic Art Deco architecture of the 102-story Empire State Building makes this an icon of NYC. It is the third tallest building in the US, standing over 1, 400ft!! There are 1,860 from street level to 102nd floor. It took 57,000 tons of steel to construct the steel frame.There It took 7,000,000 man-hours. It took 57,000 tons of steel to construct the steel frame. If you are visiting New York you can't leave without going up the Empire State Building. Go up to the 86th floor outside observatory for astonishing views of up to 80 miles! (130 km). 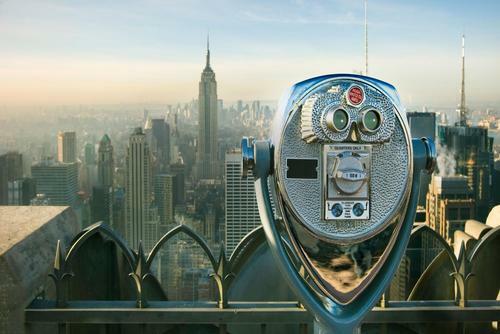 Experience a view of New York City like no other, visiting the top of the Rock as its know will leave you with lots of memories and great pictures. The view from the top of the Rockefeller Centre is in our opinion much better than the view from the Empire State building as you can see the Manhattan skyline and also Central Park. Aim to go around 6-7 at night to see daylight and also Central Park go eerily dark when night falls. Also remember to take batteries for your camera, this has some of the best shots you can get in NYC. If you’re in the Midtown area, you can find the main branch of the New York Public Library, the famous building with the lion statues out front, featured in countless films shot in New York. Also in the area is the Rockefeller Plaza, which is the home of NBC Studios and Radio City Music Hall. If you’re lucky enough to visit during winter, the Rockefeller Plaza is where you’ll find the famous Christmas tree and skating rink that are omnipresent in every Christmas movie filmed in New York. To the west of the Plaza is Times Square. See a show on Broadway! It has to be done, and although I was distraught Lion King was sold out, seeing Chicago, albeit for the second time, was still a great night out. Which is made more memorable by the encore of the buzzing night life in Times Square. One of New York City’s most visited landmarks, Central Park provides locals and tourists with A visual masterpiece, as created by landscape designer Frederick Law Olmsted and architect Calvert Vaux, Central Park has gone through major developments and restoration over time to carry on its initial purpose as an open-air oasis for a metropolitan city. No matter the season or reason for your visit, this historic landmark is a setting for enjoying an array of activities: bicycle riding, strolling, rollerblading, ice-skating, picnicking and much more! This is a great place to un-wind, people watch or enjoy brilliantly some great street entertainment. Central Park is huge and is larger in size than Monaco. This is also a great escape from the hustle and bustle of Manhattan city life and there is a lot to see and do here. 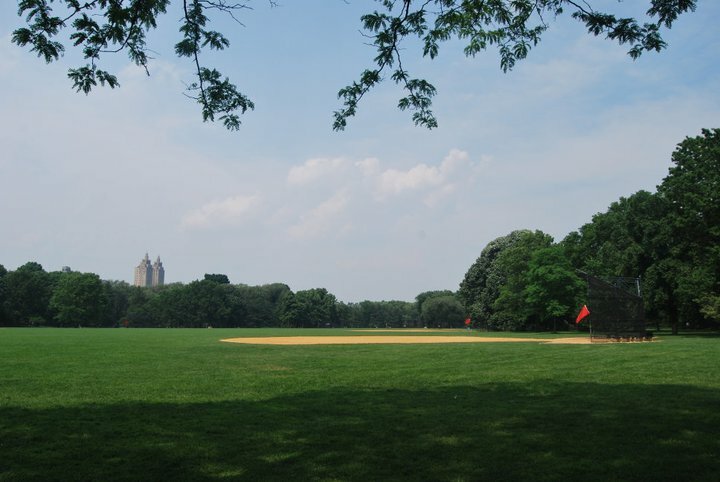 Central Park has lakes, sports and baseball fields, picnic spots, swimming areas and more. We recommend going to see the John Lennon memorial or join a free walking tour. There is also the option to take a guided bike ride around the park and see which parts have had their five minutes of fame in Hollywood. The bridge from Ps. I love you, and the ice rink in Limitless were a few places you can see. 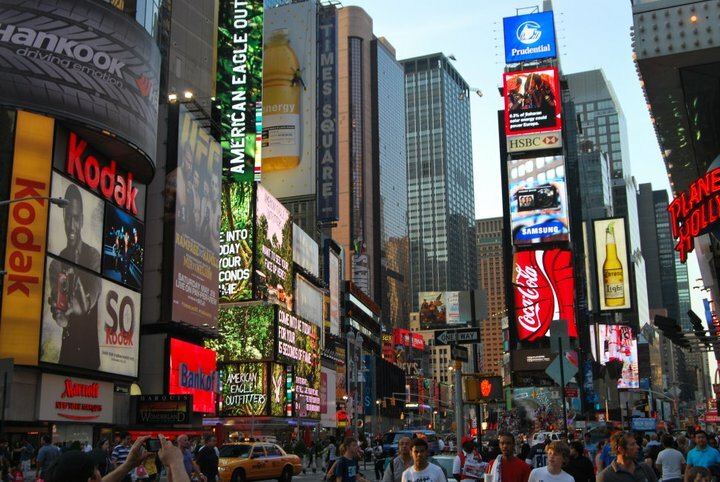 Times Square is a huge commercial intersection in the heart of Manhattan is one of the world’s busiest pedestrian places. Famous for the New Years Eve ball drop and Christmas celebrations, winter really is the best time to go and bask in the glory of this masterpiece! When you are in Times Square you will know you have arrived in New York City! This is one of the most photographed places in the world and the chances are if you are visiting NYC, you will visit more than once due to its central location. You won’t find yourself bored in Times Square, the place is just incredible. Make the most of the shops, and don’t feel pressured to buy anything either, making this a free/cheap destintion. Have a look round the incredible Toy’s R Us and fulfill your lifelong dream of going in the Barbie house or walking around Willy Wonka’s chocolate factory. The Hershey and Reeses shop is another great American attraction as well, and just across the road is the M&M shop! It really is non-stop. Also if you are lucky you might be able to get a picture with the 'naked cowboy' who is usually hanging out playing his guitar entertaining the tourists. 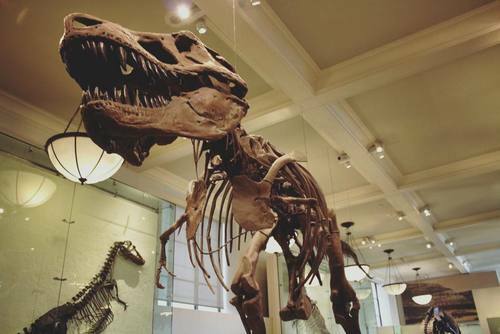 New York has some of the best museums in the world and here you can see new and old collections from all over the world. If you love art you will not be dissapointed. This building is huge and, even better, has air conditioning which is prefect if you visit during summer and want to escape the summer heat! If you don't want to pay too enter there is also a free walking tour around the lobby and you can view art from the postcards in the souvenir shop. 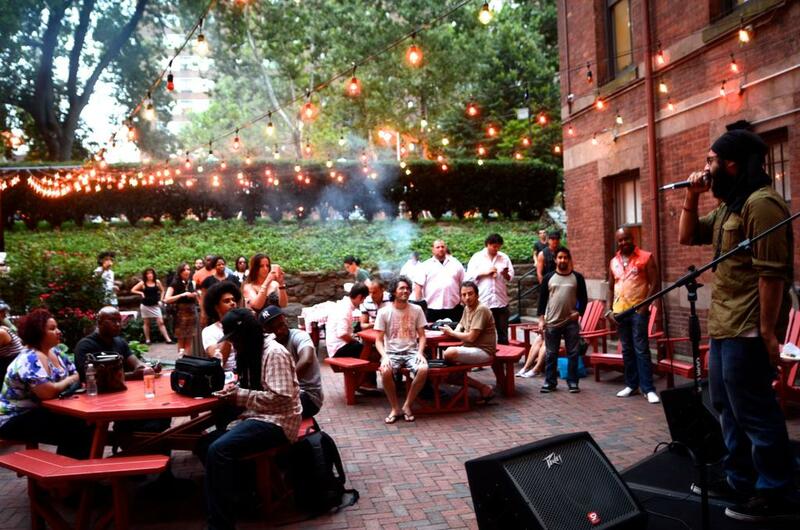 You have to experience the trendy Grenwich Village located in the Lower West Side of Manhattan. This is one of the coolest locations in the city with shops, bars, restaurants and cool streets. Grab a drink and sit down just to take it all in, its amazing during both day and night. You can also see the building where the hit tv series 'Friends' was filmed or take a seat in Washington Square Park and people watch. If you’re looking to see the city and the famous skyline there’s nothing like a walk along Brooklyn Bridge, being 1,825 metres long in total it shows the sights of New York City and Brooklyn all into one like you can’t see from anywhere else. Recommended by many to start just before dusk then you get the perfect views of both the clear city and the lights on your way back. There are public footpaths for both walking and bikes while the cars drive below where you walk and the East River running underneath there’s nothing more exhilarating than a nice stroll along Brooklyn Bridge and while you’re down in lower Manhattan Little Italy and China town are defiantly worth a visit! This is something quite unique and special, you can walk along an old subway line which is above ground. There are plants, trees, gardens and you can also walk under buildings and hotels. Something a bit different to do in New York! Departing at many different times, one of the three Staten Island Ferry’s takes you to a perfect seeing point for pictures, although it does not stop it does a full circle around passing the Statue of Liberty and back to where you boarded. You should check both weather and times before setting off to catch the ferry and it’s not hard to miss the entrance! This is a perfect way to get the Statue of Liberty into your heavy packed NYC schedule then after you can experience the views from land while shopping and dining at the wide selection of nearby places. This area of Manhattan is lively, volourful, busy and bustling with people and activity. You can wonder the streets, go shopping for souvenirs or eat some tasty Chinese / Italian food. We recommend relaxing in one of the parks and watching the local people play board games. See the famous New York Public Library which was used in the film - Ghostbusters. The outside is really impressive and inside its huge, it is easily one of the best libraries to visit in the world. As train stations go this is one of the best in the world and great for photos. This is a hidden away park located less than a five minute walk from Times Square. In summer they have movies on a large screen and during the day its a great park to just lie down and relax. Manhattan and Times Square in particular can be pretty full on so this is a good place to take time out. 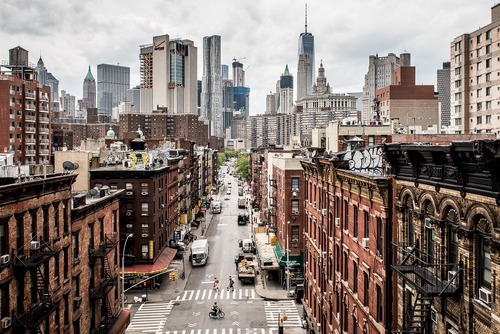 If you are keen to see more of New York we recommend going for a night out in Williamsburg, this is a trendy neighbourhoods in Brooklyn where you can see a lot of hipsters. There are lots of independent bars, cafes, restaurants and you can also choose to stay in one of the various boutique hotels. Williamsburg is also a short subway ride away from Manhattan. New York is a great city for sport, there are baseball, basketball teams and also a large tennis stadium. We recommend going to watch a live baseball game, you can choose from the world famous New York Yankees or the New York Mets. Seeing the Yankees can be difficult sometimes due to their popularity and tickets selling out but you should be able to get Mets tickets on the day for most games. You could also try to watch the New York Giants baseball team but getting tickets can be difficult. Even if you have never watched baseball before, or have no interest in the sport, going to a live game is exciting. We all love a good free-be and this city isn’t lacking in them, there are plenty of free things to do. There are lots of free walking tours of New York where you can see different parts of the city most days. This is a great way to see the city and get guided by a local person who will know the best places to take you to. Pick up leaflets in hotels and hostels for more information about what tours are on offer, also please note tips are common. On certain days you can get into museums for free, this includes the Guggenheim, Met and MOMA. They have a suggested donation and you can really give what you want / nothing. Please check days when you arrive. The Staten Island ferry will pretty much take you on the same route as any other ferry tour just for 100% cheaper. 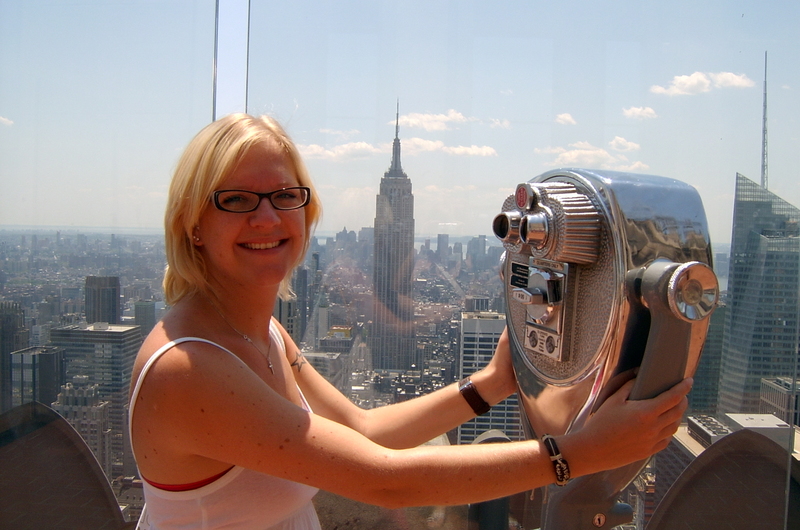 It is free and has a great view of the Manhattan skyline and Statue of Liberty. There are loads more but those should keep you busy for at least two days and show you a substantial chunk of the city without you paying a penny. 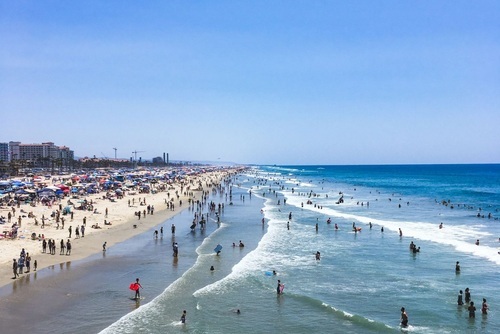 If you feel like a break from Manhattan, head to Coney Island which has beaches and entertainment. Its not the most modern of areas and could do with some tlc but in summer just getting to go for a dip in the sea will be worth the long subway ride. The beaches here will never win any awards, but just to get some fresh air and escape the city it is a great option. Okay, this is more of a day trip but a great place to escape city life and see beautiful beaches and huge mansions. This is a great place to escape the busy city life and noise from people and cars. Part of experiencing NYC is the to-die-for food and gorgeous venues. However, if you’re eating out 2-3 times a day in expensive places, that’s going to add up pretty quickly. So whenever you can, if you have access to a kitchen (this is where AirBnB comes in handy) eat in or take a packed lunch, maybe even have a picnic in Central Park if the weather’s right. This may also save you time, as you won’t be stopping for food so much throughout the day. Also always tip, its common courtesy and usually a minimum of 10%. This goes for taxi's, drinks, food etc. New York is famous for its incomparable shopping experience. 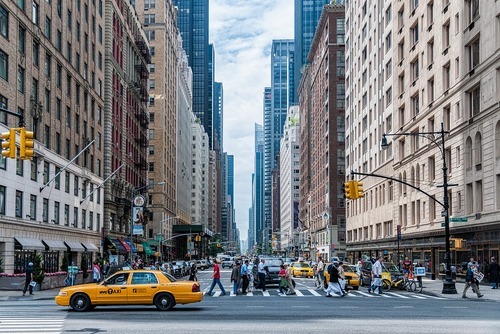 With famous streets like 5th Avenue and big-name shops from Macy’s and Bloomingdales to Tiffany & Co, you’ll be spoilt for choice. If you’re a shopping fanatic, but on a budget there are a few places in New York City where you can get some bargains. Firstly, stay away from shops in high-tourist areas like Times Square and 5th Avenue where a simple ‘I Love NYC’ jumper will be $20 more than it is in other places like the East Village or Chinatown. The Century 21 department stores offer so many amazing deals on designer products, clothing, shoes, bags and home ware for all; men, women and children. You can pick up the latest designer outfits and fashionable trends for up to 65% off retail price! You can also catch a bus to the New Jersey Outlet which offers discounted designer goods for a fraction of the price of Manhattan. During summer take a mini fan, the subway system and roads can get unbearably hot. Always drink lots of water to stay hydrated. In winter wrap up warm, temperatures drop dramatically. This may seem obvious but, for a lot of things, the sooner you book the cheaper it will be. 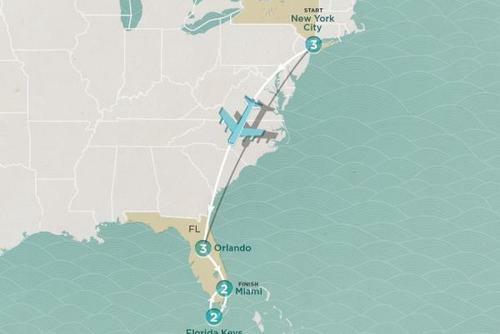 Anything from flights and accommodation to Knicks, Yankees, Broadway and concert tickets.